The 29th of March, the Power to Protein pilot installation was officially opened at the Grolsch Veste in Enschede. 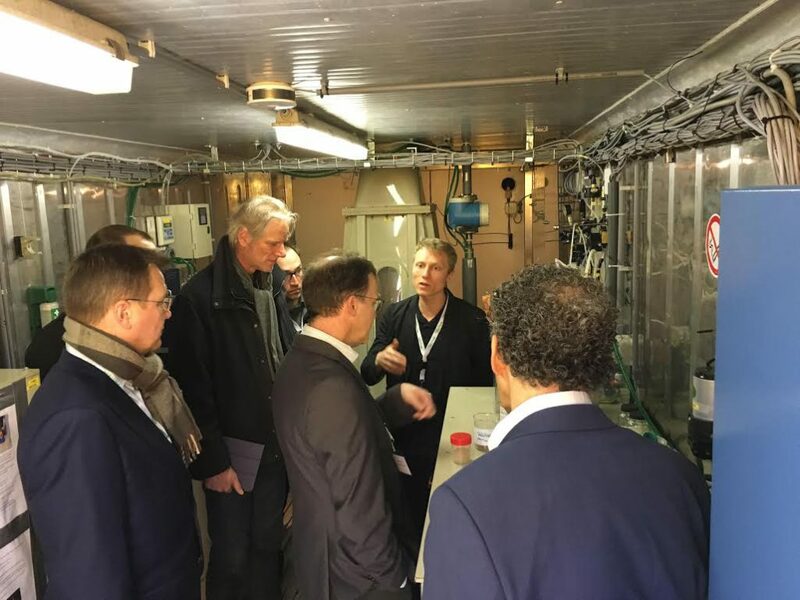 In the presence of about 60 interested people, both from industry and press, the project was introduced by Jan Peter van der Hoek, member of the board of Waterschap Vechtstromen. Further presentations were given by Barentz, Avecom and KWR, members of the Power to Protein consortium. Afterwards, the public was able to visit both the Power to Protein pilot and the Nijhuis Ammonia Recovery pilot, where technical questions were answered.